We've had several grooms now who serve in the military, and as I get to know more of them and their stories, I really appreciate them more and more. What they go through for the sake of our freedom is just amazing. Because of their sacrifice, I'm able to be here and have my "first world problems". 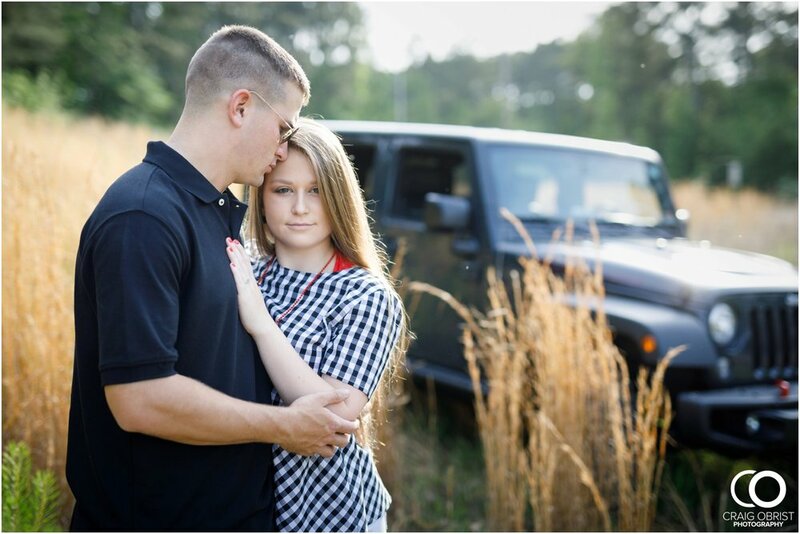 I live my life able to plan the next day, the next week or even months from now, but for couples like Brooke and Brooks, there are many uncertainties even in their schedules. Sometimes, deployment is uncertain... it can change often and they still serve so sacrificially and live their lives day to day patiently waiting to be called. 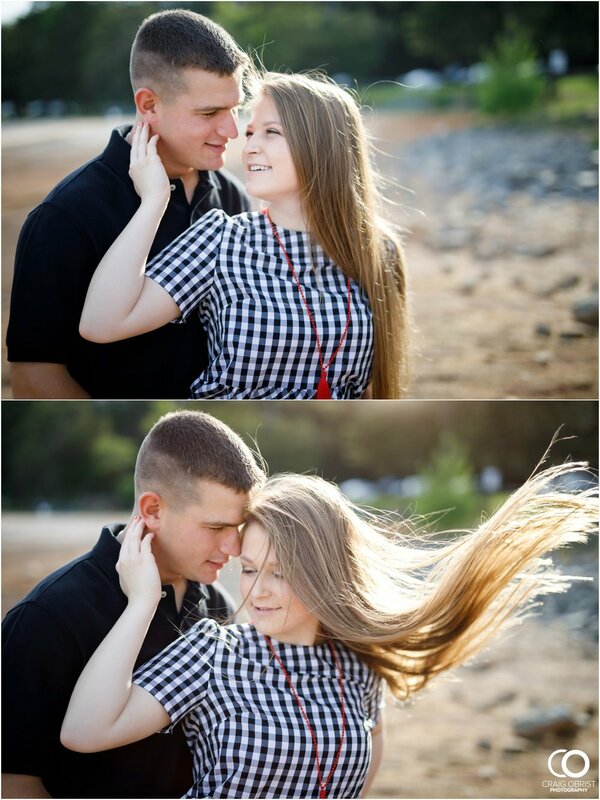 With couples like these, we try to be as flexible as possible to fit their schedule because you know what? That's the least we can do... Well, we were so happy when this engagement session worked out soon after we booked them. 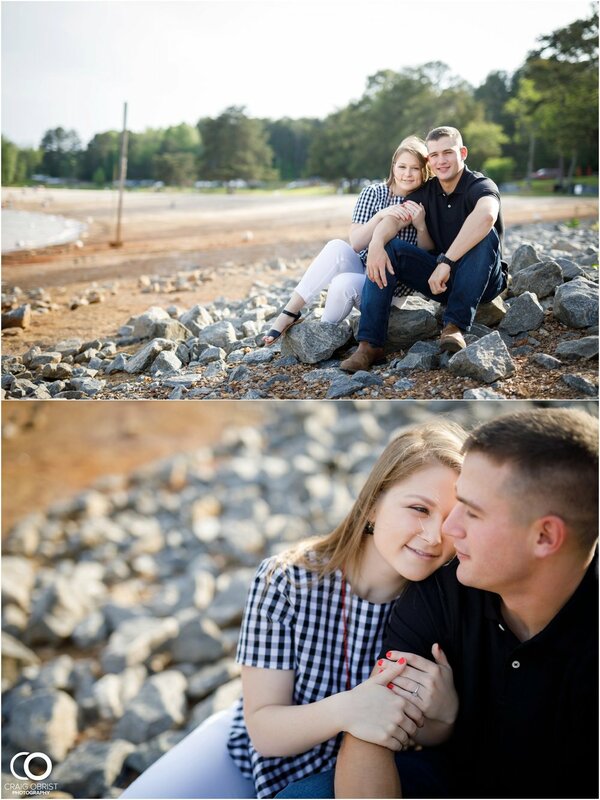 They wanted a beautiful nature scenery, so we went to Lake Lanier and the mountains, and it fit them perfectly! 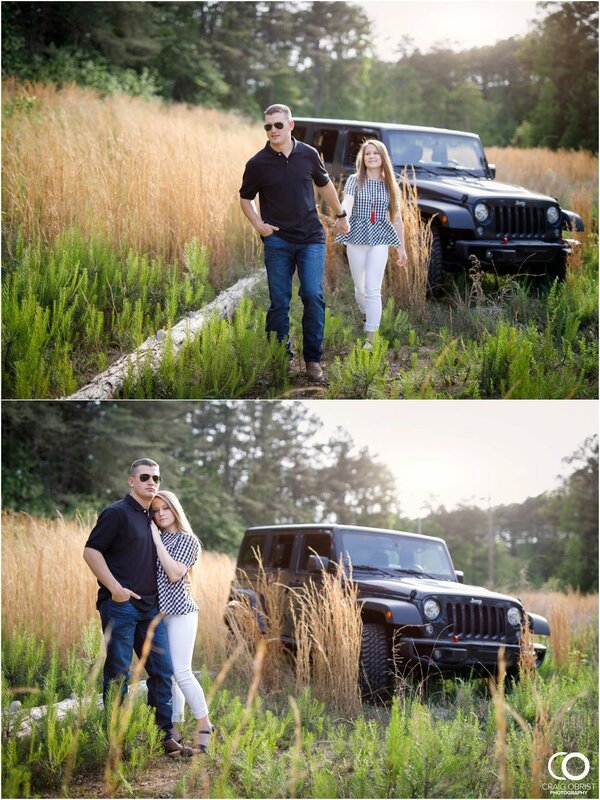 And, doesn't the picture above make them totally look like Jeep's spokemodel? Yes, I think so! Brooke and Brooks.... I just had to write your names again because I just love it. :) Thank you guys for a wonderful photo shoot! But, more than that, I'm grateful for all that you do not only for me and my family, but for all of us. I truly mean it. May you guys be blessed a thousand fold! We can't wait to see you again and celebrate your wedding day. It's going to be amazing. Until then... take care and enjoy your portraits!